When you hear the name Pasadena, you might first think of the Tournament of Roses parade and the Rose Bowl. You might even think of the monthly Rose Bowl Flea Market, where tens of thousands of visitors search for bargains and treasures the second Sunday of every month. 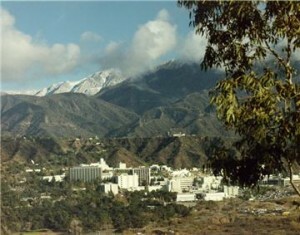 But Pasadena is so much more. 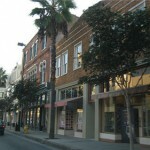 Old Pasadena, which spans 21 blocks downtown, is nationally recognized for its vibrant main street revitalization, as well as its specialty boutiques, galleries, theaters, open-air eateries, and antique shops. Here you'll find a skillful blend of old and new that has reclaimed the heritage of Pasadena's early downtown charm. 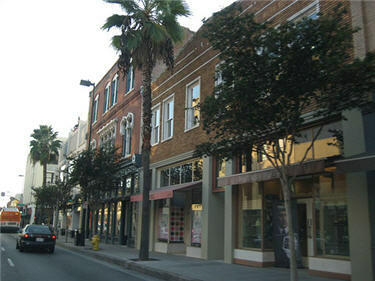 Residents are fond of saying "Old Pasadena, then and now, always the real downtown." While many of Pasadena's older homes reach back in style to the Victorian era, in the early 1900's a distinctive California Craftsman / Bungalow style evolved. This style celebrated simplicity and use of natural materials such as redwood and river rock. The California Bungalow also borrowed elements from Spanish, Mexican, and Japanese architecture. Many of Pasadena's neighborhoods have been nationally recognized for their efforts in preserving this distinctly Californian architectural style. Bungalow Heaven With its quiet tree-lined streets and lovely gardens, the 16-block area known as Bungalow Heaven is a historic gem set in the midst of Pasadena. Bordered by Orange Grove and Washington Boulevards and Lake and Hill Streets, Bungalow Heaven holds the distinction of becoming Pasadena’s first historic Landmark District – so designated in 1989. Then in 2008 it was listed by the United States Department of the Interior in the National Register of Historic Places, and was later listed in the California Register of Historical Resources. In 2009 it was designated one of the 10 great places in America by the American Planning Association. These honors are in part due to Bungalow Heaven's efforts to preserve and restore its unique character and sense of place. Although the district includes residences from most periods of Pasadena’s history, this area of Pasadena is one of the best collections of Arts and Crafts-period bungalows in the United States. Interestingly, during the "Bungalow Boom" in the early 1900's, one could purchase a newly constructed home for $2,500 – or buy the "build it yourself kit," delivered to your lot for about $650. Garfield Heights Garfield Heights, located in Northwest Pasadena, is a small portion of 2,000 acres purchased in 1881 by John Painter and Benjamin Ball - for $30,000.00. Garfield Heights is the second oldest historic neighborhood in the City of Pasadena, and many of the homes built in the late 1880's through the 1920's still remain intact. Once a year, during the Garfield Heights Neighborhood Association Home Tour, a few of these historic homes are open to the public. Madison Heights, originally known as the “Madison Avenue Heights Subdivision," at first consisted of 63 large lots. First offered for sale in 1906, lots were priced from $1,500 and came with a stipulation that homes constructed must cost a minimum of $3,000. Thus, Madison Heights became populated by professional people, along with the architects and contractors who worked in the neighborhood. As time went on and young families grew, many of the early residents subdivided their lots to provide home sites for their grown children. Today, many of the 1,400 proud residents still represent multiple generations of the same families. Madison Heights is bounded to the east and south by Lake, El Molino and Los Robles Avenues; to the west by Marengo Avenue; and to the north by California Boulevard. Chapman Woods In 1869 Alfred B. Chapman, a young graduate of West Point, acquired 1,786 acres of the great Santa Anita Rancho for the sum of $10.00 per acre. He made his home in the section now known as Chapman Woods. An avid horticulturist, he planted, citrus, walnut, avocado and pecan trees – many of which remain today, adding their charm to this residential area of 462 homes. Chapman Woods extends from Huntington Drive on the south to the south side of Del Mar Boulevard on the north, and from Rosemead Boulevard on the east to the Edison right-of-way on the west. Orange Heights In 1995 the "Orange Heights - Barnhart Tracts Historic District" gained the distinction of becoming the first neighborhood in the city of Pasadena to be added to the National Register of Historic Places. Once known as "Pill Hill", because of the large number of medical professionals who lived in the neighborhood, Orange Heights has always been at the heart of Pasadena's civic life. Some of the city's most prominent citizens have lived here, drawn by the beautiful architecture, terraced yards, tree lined streets, and mountain views. Happily, those reasons for choosing Orange heights have not changed – it appears today much as it did more than 80 years ago. The Orange Heights Neighborhood Association (OHNA) is at the center of a vibrant and active community. OHNA hosts an annual Spring Yard Sale, an annual summer "Block Party Blast," an Ice Cream Social in conjunction with "National Night Out" in August, a "Frights Parade" and dinner on Halloween, and holiday caroling in December . The Orange Heights neighborhood is defined as being bounded to the West by Los Robles Avenue, to the East by El Molino Avenue, to the North by Jackson Street, and to the South by Mountain Boulevard. Washington Square In historic Washington Square, streets are lined with old-growth Camphor, California Oak, Olive, and Palm trees – adding both beauty and cooling shade for the district's 250 homes. Residents also enjoy the 5.22 acre Washington Park, where friends and neighbors gather for picnics, tennis, basketball, handball and baseball. Of course, the park also includes a children's playground. The majority of homes in Washington Square were built between 1910 and 1940. Architectural styles range from California Craftsman, Spanish Colonial, Tudor, and English Cottage to Traditional. Brigden Ranch Brigden Ranch, in the northeast corner of Pasadena, includes more than 600 homes, many of which date from the 1920's. Those homes are occupied by a diverse population of warm, welcoming neighbors. Just steps away from a commercial district, Brigden Ranch is both a pleasant and a convenient area in which to live. Neighborhood boundaries are Galbreth Road on the Casa Grande Street on the south, North Allen Avenue on the west, and Martelo Avenue on the east. Portions of Brigden Ranch – Westlyn Place and Eastlyn Place as well as portions of Galbreth Road and North Craig Avenue - are situated in an unincorporated area of Los Angeles County. Hastings Ranch A newer section of Pasadena, situated near the city's Northern boundary and away from the hustle and bustle, Hastings Ranch was developed in the early 1950's. Here you'll find tree lined streets, children playing, and yards decorated for every holiday – especially Christmas. You may also get a glimpse of forest wildlife. This neighborhood of approximately 1,100 homes is served by Hamilton Park. Parents, children, and even non-residents flock to this park for the playground and the children's sporting events. Being removed from the busier city atmosphere is not an inconvenience for Hastings Ranch residents. The area includes elementary and high schools, both public and private, and is home to a number of supermarkets and large shopping plazas. Linda Vista Linda Vista, which became part of the city about 30 years after Pasadena was founded, is both Pasadena's wealthiest neighborhood and its largest neighborhood by area. Its appeal to the very wealthy might be found in its rural atmosphere – the hilly areas and winding streets which hide homes from view among the trees. Linda Vista is also somewhat isolated from the main part of Pasadena, with more open spaces. In recent years, homeowners have constructed spacious contemporary homes on the hillsides – taking advantage of spectacular view of the Arroyo and San Gabriel Valley. 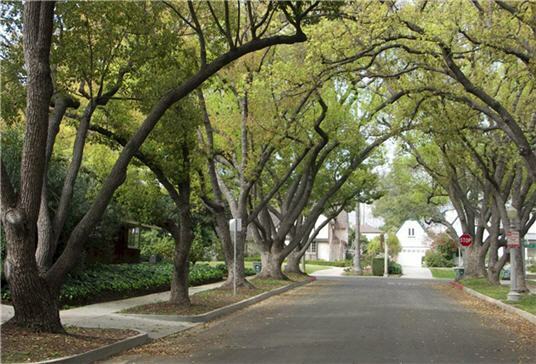 Situated on a slope between the Arroyo Seco and the San Rafael Hills, Linda Vista is bordered by Oak Grove Drive to the north, Colorado Boulevard to the south, the Pasadena-Glendale border to the west, and Linda Vista Avenue to the east. Cal Tech The Millikan Library at Cal Tech This is a much more loosely bounded neighborhood defined by the California Institution of Technology (Cal Tech), with the campus at its center. Here you'll find modern condominiums in addition to beautiful single family residences. While the boundaries for the Cal Tech area consist of California, Hill, Del Mar and Wilson, surrounding neighborhoods that have no other designation are often referred to as the “Cal Tech area.” Oak Knoll Once the site of a sheep ranch owned by Henry Huntington, the Oak Knoll neighborhood began its residential life as home to many grand estates of the late 19th century. As you might gather from the name, the area was known for its native oak trees – and homes were built to showcase them. Many of these classic estates remain, including the most famous: the old Huntington Hotel. Now known as the Langham Huntington Hotel & Spa, it's a favored retreat for Pasadena residents wanting to take a break from the busyness of life. 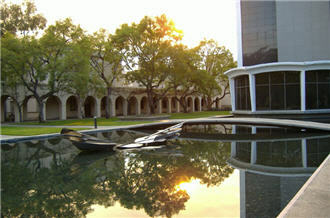 Oak Knoll is located at the southern end of Lake Avenue, south of California Boulevard, in downtown Pasadena. Historic Highlands Historic Highlands, named a Pasadena Landmark District in 2008, offers a combination of many different architectural styles and cultures. Among our 700+ homes, you'll find influences from both European and early American architecture, as well as details that reflect inspiration from all over the world. Among our residents you'll find neighbors who maintain a strong bond through numerous community activities and annual events such as the Historic Highlands Home Tour, The 4th of July Parade & BBQ, and the Labor Day Block Party. San Rafael Both the Upper and Lower San Rafael Hills are known for their captivating luxury homes situated on large lots to assure peace and privacy. In addition to the beautiful homes and the neighborhood ambiance, San Rafael offers easy access to the 134 and 210 Freeways plus close proximity to the Rose Bowl and Old Town Pasadena. Who could ask for more?